PlayDoh | Have kids, they said. It'll be fun, they said. Kinetic Sand. If you have children, get some. Heck, if you don’t have children, get some anyway. It’s amazing. Ah-mah-zing. That’s all I’m going to say about it. Well, ok. It’s not all I’m going to say. 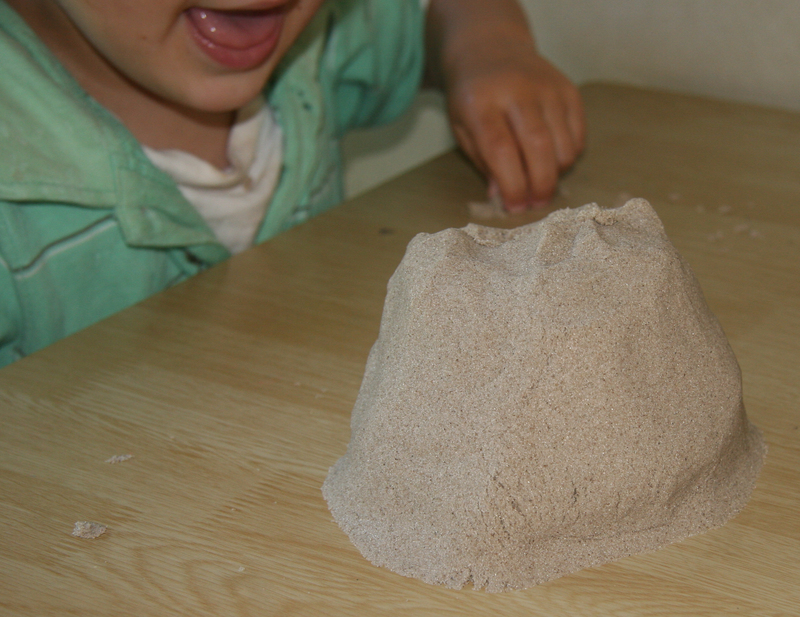 I was introduced to Kinetic Sand by a friend in Australia who posted a link about it in our online parenting group. 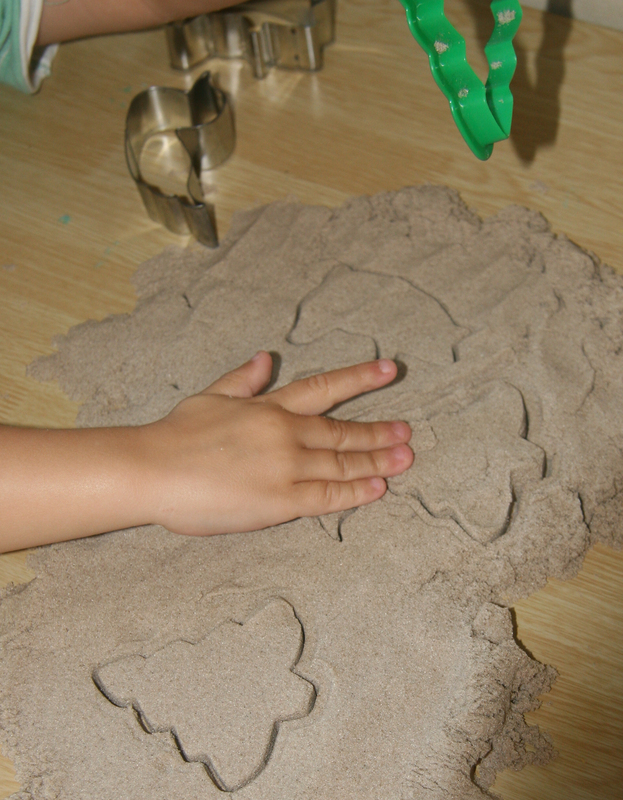 I was immediately captivated – Kinetic Sand is “98% pure sand” with “patented technology hidden within the binder”. When I googled and found YouTube clips and other blogs, I became a woman obsessed. Today at last, my kinetic sand arrived. Note: I call it MY kinetic sand. Not my kids’. Mine. They can use it but I plan on guarding this like Smeagol. Kinetic Sand, my preeeeeesciousssss. The basic idea is, it is sand with a difference. It binds together and then crumbles almost immediately. You can shape it and then break it again and again and again. Or, just run your fingers through it. Again and again and again. I should mention at this point, it feels pretty nice, it’s like soft sand without being gritty. I should mention at this point that I hate sand. I despise the stuff, especially stuck to me. The appealing factor of this product is that it supposedly only sticks to itself. I got a 1kg box, which is advertised as being enough for 1-2 kids. I think this is a fair assessment, it did BoyChild and I nicely. It doesn’t come with any instructions or anything which is ok, except I would have liked some indication on how to store the sand once we were done playing. 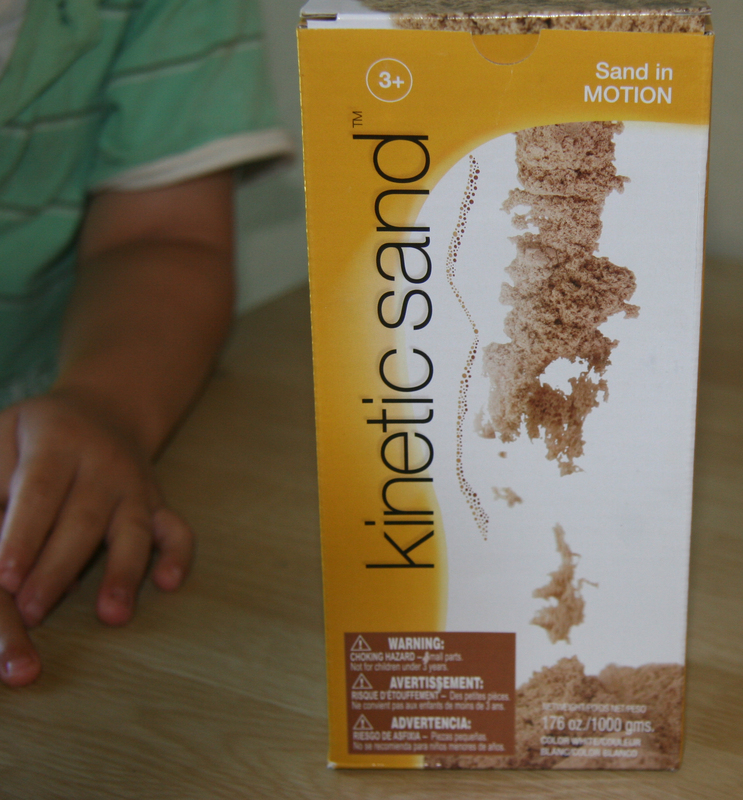 It does mention on the box that Kinetic Sand is sensitive to water and that the best place to play is indoors with less than 60% humidity. If your sand gets wet, let it air dry and it should go back to normal, so says the box. I opened the bag in which it came and BoyChild was at my side in a flash. Lots of “wow” and “ohhhh” and “look, mum!” went on, as he immediately started molding and destroying it, shaping it, rubbing it through his fingers, spreading it far and wide then bunching it back up again. Of course, he wouldn’t be BoyChild if he didn’t put some in his mouth but the look on his face told me it did not taste nice, I doubt he will do that again. I went and got some cookie cutters and we spent a long time cutting shapes – the amazing thing is that the sand will hold the shape that you cut and then breaks when you lift it. I did mold some balls in my hand to see just how well it binds. This product kept BoyChild entertained for over an hour which is pretty good for a 3 year old boy. I even let Baby Girl have a play, she was intrigued and loved the feel of it running over her hand. For storage, I opted for ramming it back into the plastic bag it came in, then into an air tight container. Then high up in the cupboard where no one will find it. Conclusion? Kinetic Sand is fantastic. If making long-lasting structures is what you are after, stick with PlayDoh. But if you just want something to play with, make shapes, cut, run through your fingers, then I highly recommend getting some. You could even share it with your kids if you want.